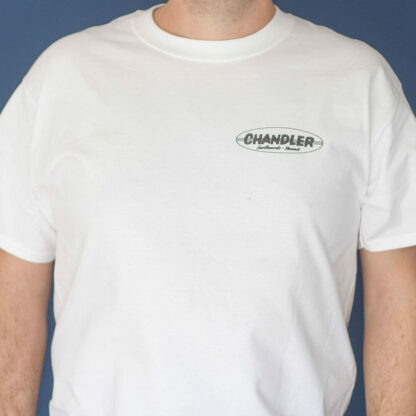 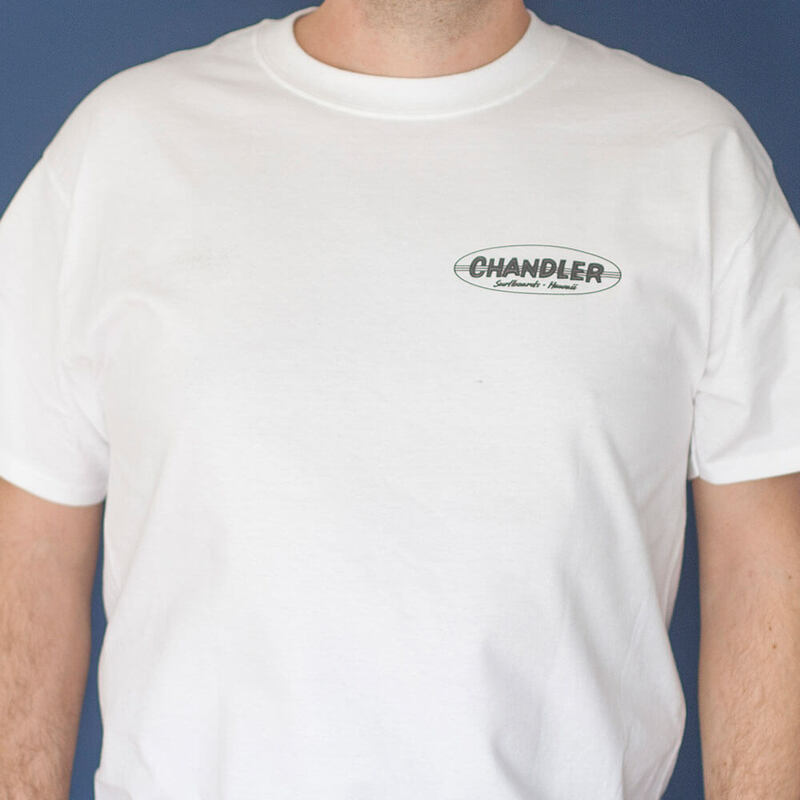 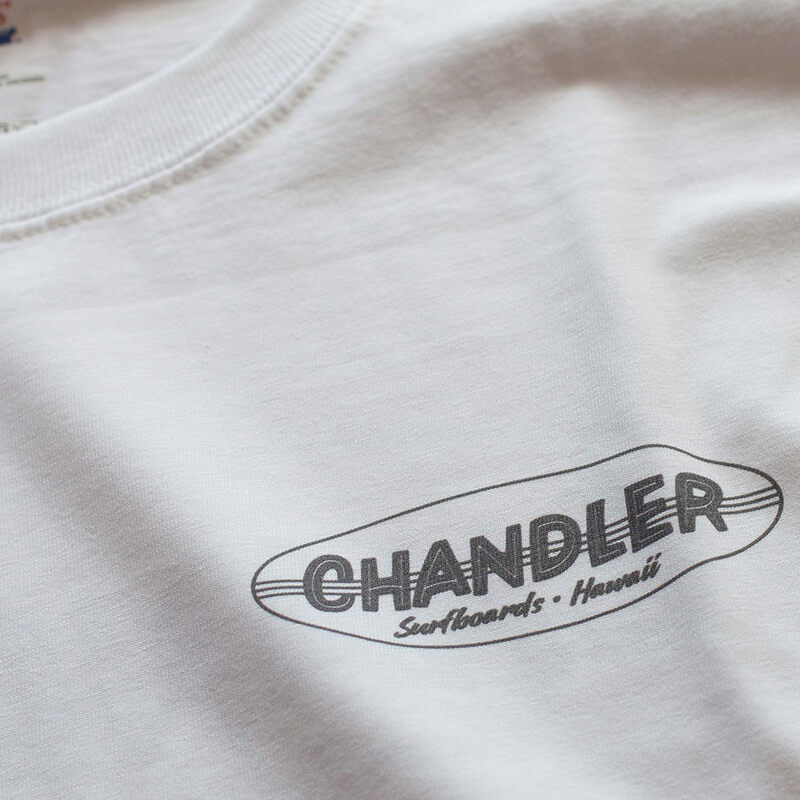 Chandler Surfboards Original 60s White T-shirt. 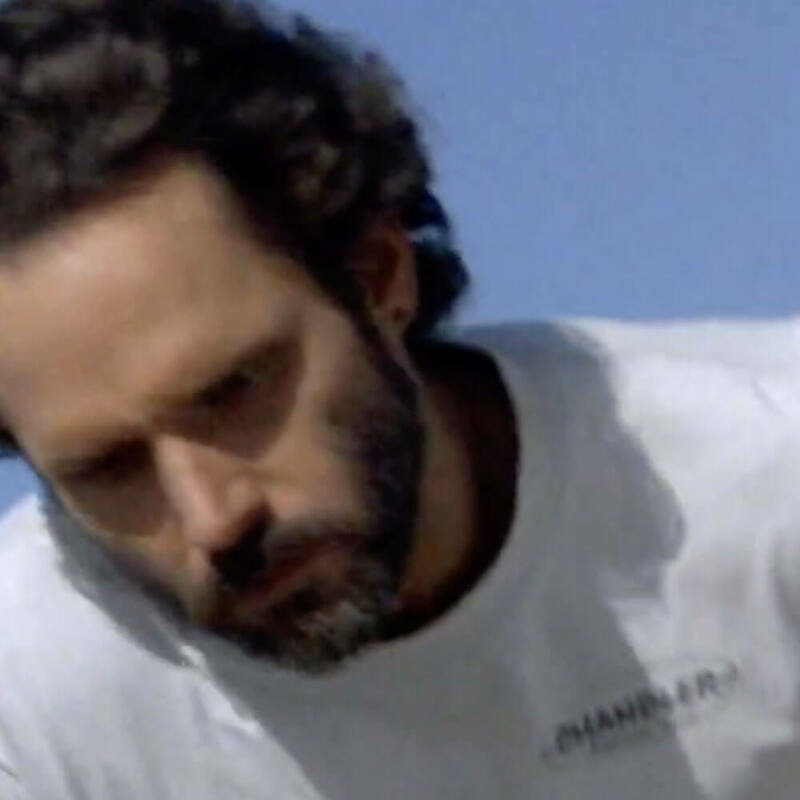 So Rick Kane thought it was a bit 60s! and he was going to try some new stuff for Chandler! 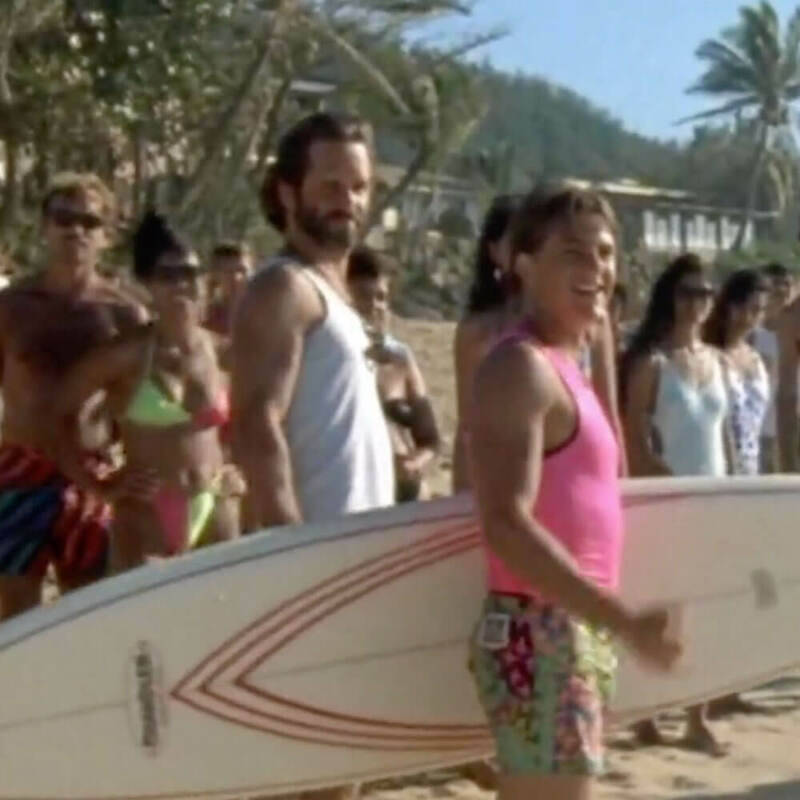 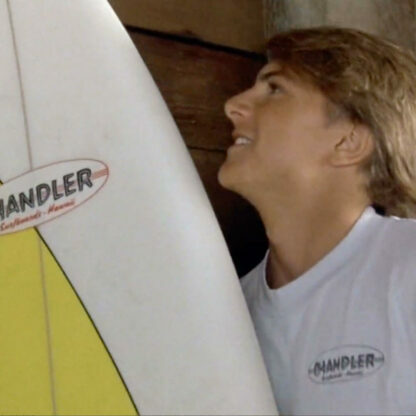 But we think it’s old-skool and is shown on all the boards Rick rides in the movie. 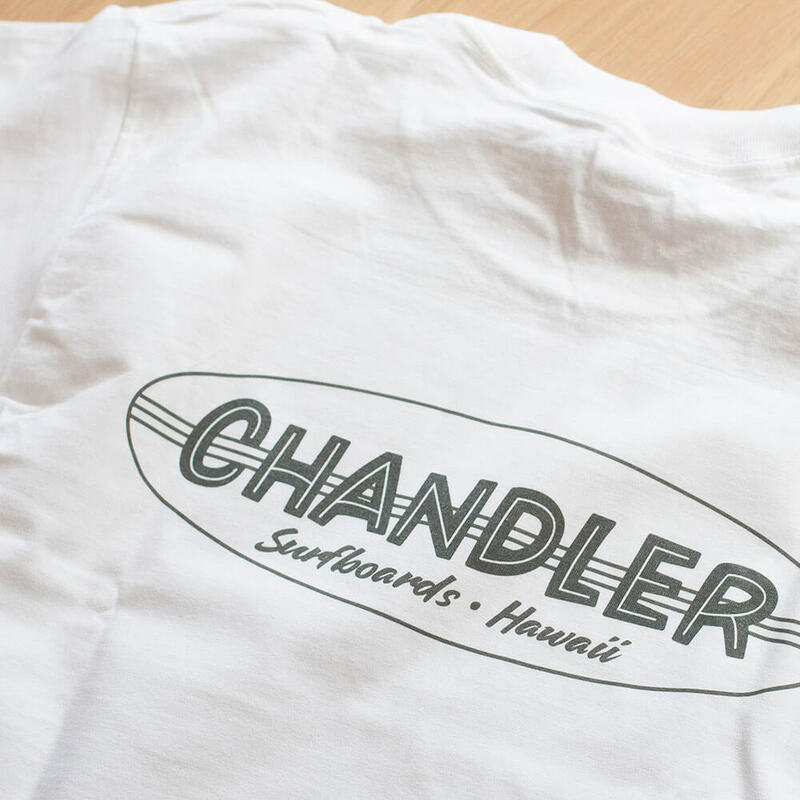 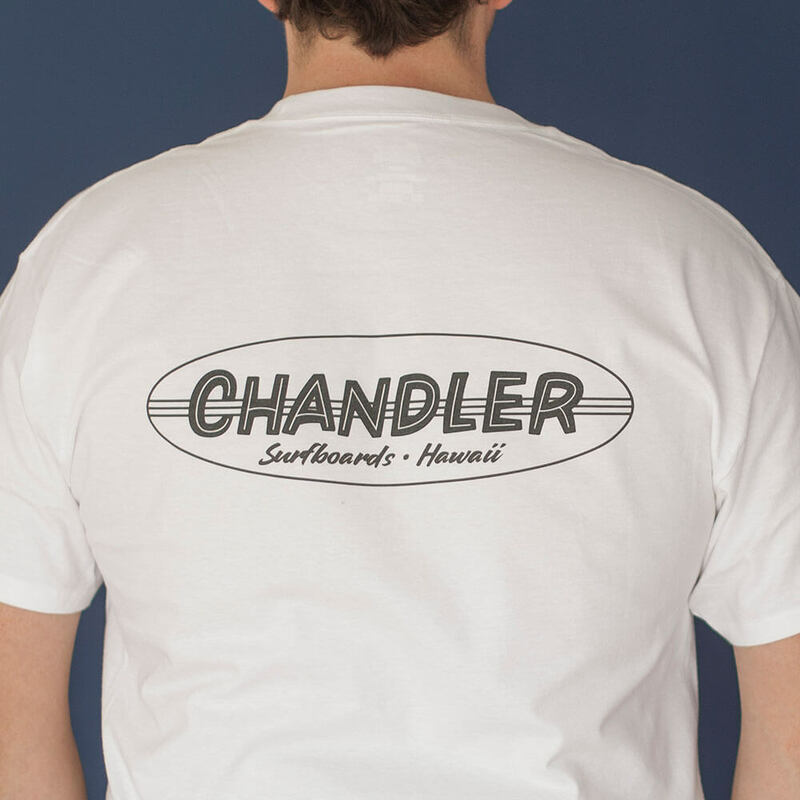 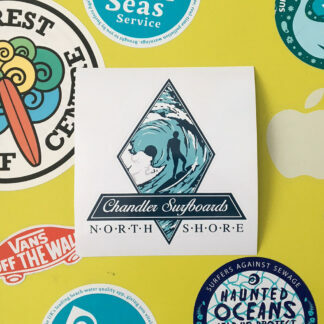 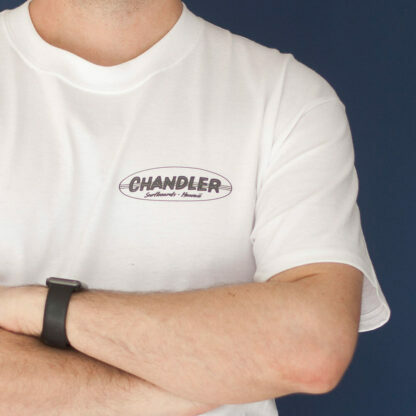 This shirt features the original Chandler Surfboards logo on the front and back on a white tshirt as worn by Rick Kane (Matt Alder) and Chandler (Gregory Harrison) in North Shore the Movie.